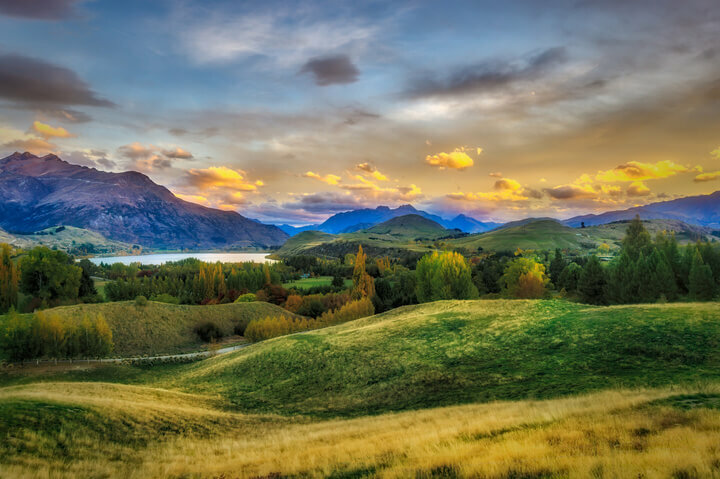 First discovered in 1850, it was gold that lured the original settlers to the Queenstown – Central Otago region. Many of the regions towns and roads were forged upon the back of the then lucrative gold mining industry. Exactly how much gold was extracted from Central Otago region is unknown, and although first discovered in 1850, the official gold rush period did not begin until 1861. Minors endured bitterly cold winters, treacherous rivers and harsh landscapes in their search of the illusive life changing find. The Regions Rivers were the main focus during the early 1860’s, with sluicing and panning the most popular methods for gathering gold. From the 1880’s to the 1920’s, dredging of the riverbeds became the new norm along with hard rock mining. Both of these more intensive mining methods resulted in some drastically altered landscapes, and required much more complex machinery. This in turn led to the formation of better roads, bridges and infrastructure. The 1950’s and 60’s saw a “third gold rush” which at this point was fairly limited to reworking old gold mining spots. Travelling in the old gold miners footsteps offers insight and understanding of the harsh and sometimes unforgiving conditions they faced on their quest for striking it big. Taking a guided coach tour is probably the best way to take in the sights without the hassle of having to find your own way without missing all the best spots. A tour also has the added bonus of knowledgeable local guides to talk you through interesting historical facts while pointing out places of interest along the way. Discover the relics left behind from the good old days and learn about the historic gold mining towns founded on the back of the central Otago gold rush days as you make your way along this historic gold mining trail. While the majority of the gold-rush miners originated from arrival in Dunedin, many of today’s central Otago towns are born of the gold rush era. Lawrence, Roxburgh, Fruitlands and Alexandra make up the eastern townships leading inwards to Cromwell. With Arrowtown, Cardrona, Wanaka and Queenstown making up the main central locations, and places like Macetown, Ophir, Naseby, Dansey’s Pass, Cambrian, Oterehua, Macraes Flat and Palmerston leading back out to the coast again just an hours drive north of Dunedin. 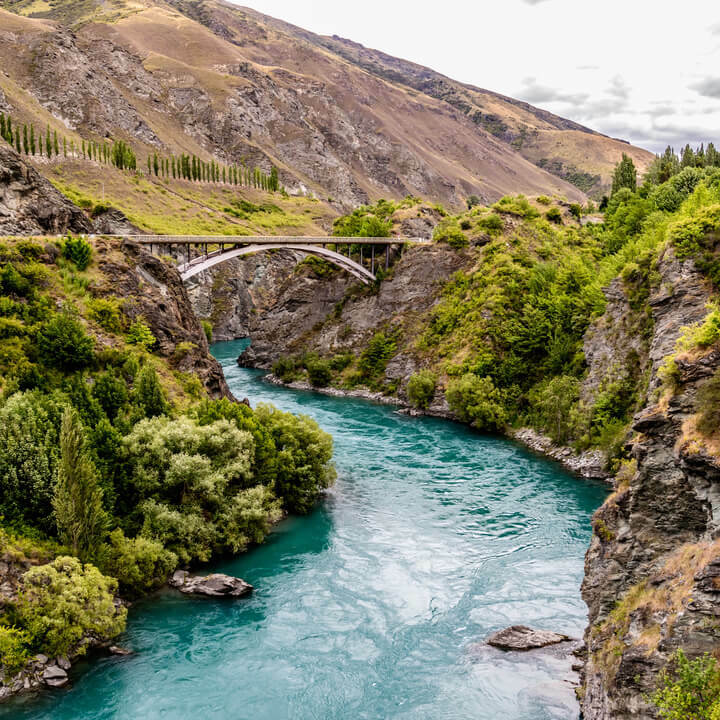 Difficult to access until after the Kawarau Suspension Bridge was formed in 1880, Queenstown was largely “protected” by Central Otago’s infamous Kawarau Gorge. Unsurpassable rapids and treacherous waterways meant the gorge prevented miners from gaining easy entry to the area from Cromwell. The suspension bridge is still present today, just 18 km from Queenstown along State Highway 6. Arthurs Point near Queenstown is home to the Oxenbridge Tunnel. Originally built as part of a master plan to divert the ShotOver River in order to mine the gold in the dry river bed, the 170 odd metre tunnel redirect did not yield the desired results. Situated in the nearby hills the town of Skippers was also home to miners back in the day, however it is now only accessible by 4WD vehicle. 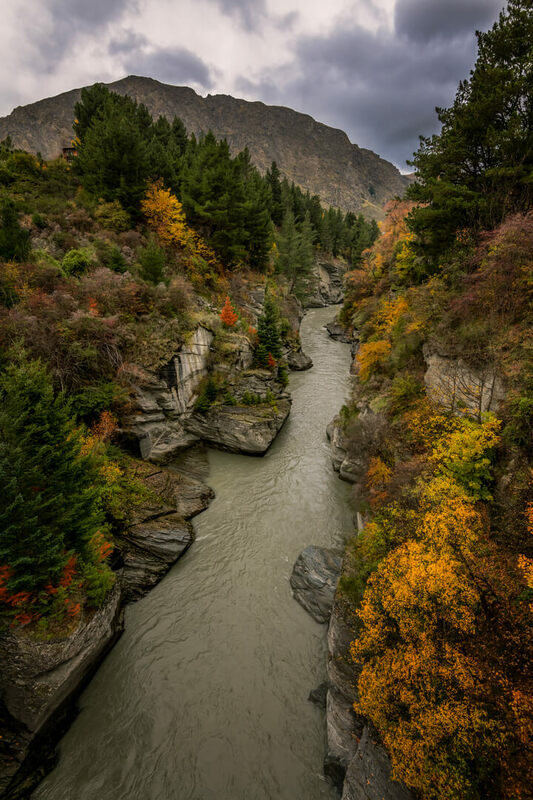 Arrowtown’s origins date back to the 1860’s when gold was discovered in the nearby Arrow River. An influx of Chinese and European immigrants led to the town’s foundations which served as a central hub for smaller nearby settlements such as Skippers, Macetown and Bulendale. Restored remnants of a Chinese village located just below the town offer a glimpse into what life was like in Arrowtown for the early Chinese miners. See old huts and buildings built into the side of the hills where they were forced to live on the outskirts of the town. View some of the historic buildings that formed the township along Buckingham Street, including the iconic Gold Shop and the New Orleans Hotel building. Home to the historic Cardrona Hotel, Cardrona was also formed in the early gold rush days. The old fashioned Pub served as a watering hole, accommodations and livery services for the workers in the area. Flowing between Cromwell and Queenstown the Kawarau River passes through the steep rugged walls of the Kawarau Gorge. Passing through the gorge on State Highway 6 is a fantastic sightseeing opportunity, complete with remnants of its rich gold mining history. The Goldfields Mining Centre, located downstream of the gorge, offers visitors a peek into the lives of the gold miners. Experience the fun of authentic gold panning, sluicing demonstrations and a replica Chinese gold mining village. Just before entering Cromwell it is worth detouring to Bannockburn. Sliced hillsides and the stark landscape of the Bannockburn Sluicing’s offer a good insight into just what early miners faced in their continuing hunt for gold. There are also mud-brick buildings, old water races and dams to view. If you have the time there is a good 2 hour hike which allows access to abandoned tunnels and other mining relics. Set at the very heart of Central Otago, Cromwell was a thriving service centre for the miners, and when gold ran out, the farmers and horticulturalists of the area. It now stands as testament to the hard working miners of the old gold rush days, with a restored township for visitors to explore. Old Cromwell Town as it is known, is a great place to wander along the streets and step back in time to see what the original township would have been like, see beautiful old buildings carefully restored and rebuilt. (These buildings were all relocated to this location when the valley was flooded to create nearby Lake Dunstan). Keep an eye out for the Cromwell Post & Telegraph Office and the The Globe Hotel first established in 1880. Get some great views of the herringbone tailings and sluicing channels left behind by miners from the Quartz Reef viewing platform. Find the Quartz Reef point carpark just 5 minutes’ drive from Cromwell, the lookout point is across the road and along a short walk across farmland. Home to some of New Zealand’s most lucrative gold fields, Bendigo was known for its hard rock mining with approximately 50 odd shafts in place at its height. Find the entrance to a few at the Bendigo Historic Reserve, along with waling tracks to various mining relicts, buildings and water races. Follow in the footsteps of the adventurous gold mining pioneers of New Zealand’s Central Otago region. Be inspired by their bravery and determination and enjoy discovering the historic treasures on the Central Otago goldfields.